Join the WDEA newsletter to receive inspired articles, news, and event invitations from Ruby. Join Ruby’s art newsletter separately. Featured on CNN, FOX,Today, and other major media, Ruby Roth created the first books of their kind in children’s literature. Vegan since 2003, Roth was teaching art at an elementary school when her students' fascination with her eating habits inspired her to write That’s Why We Don’t Eat Animals in 2009—the first non-fiction children’s book to address the emotional lives of animals, factory farming, the environment, and endangered species. 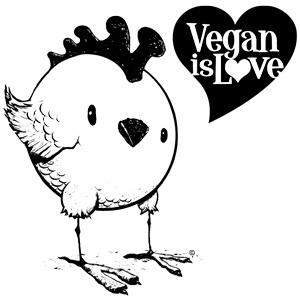 Vegan Is Love (2012), V Is for Vegan (2013), and The Help Yourself Cookbook for Kids (2016) followed, paving the way for the next generation’s evolution and leadership skills. Today, Roth's books have been translated into multiple languages and can be found in retail stores around the world. Complementing her degrees in art and American Studies, Roth has researched animal agriculture, health, nutrition, and the benefits of a plant-based diet for over a decade, helping raise a vegan child through adolescence. Roth lives in Los Angeles. FOX said “stay away” from her books. Glamour called her “an explosion of controversy.” Acclaimed artist and author-illustrator Ruby Roth brings her signature candid style to festivals and organizations worldwide. A celebrated thought-leader, she weaves together a wide but interconnected range of themes for her audiences—art, politics, environmentalism, health, and wellness.